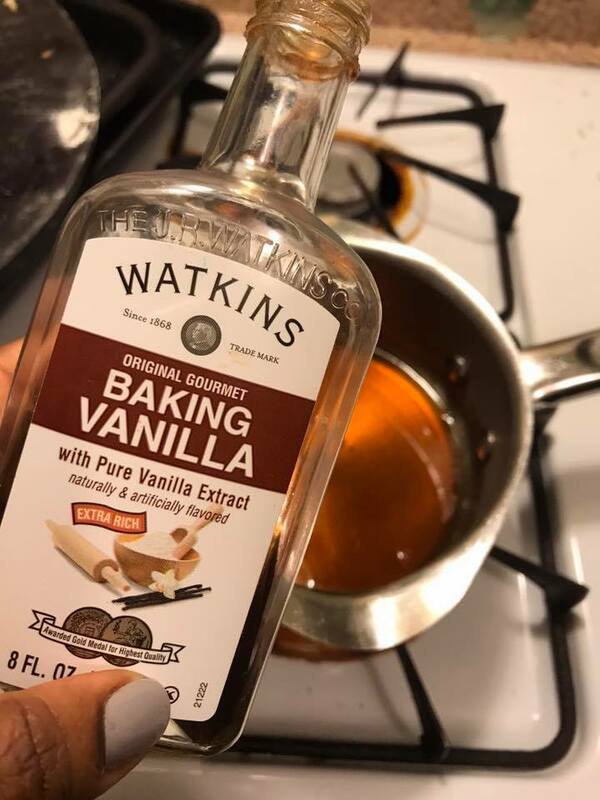 I love this simple dessert. 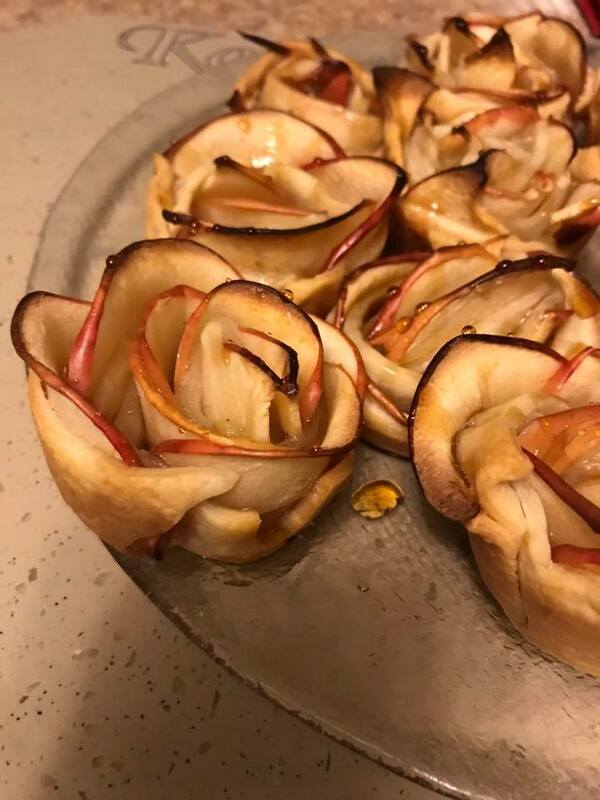 With just a few ingredients you can whip up these beautiful apple pie roses! 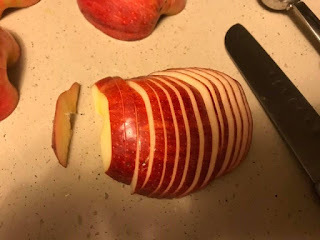 Wash the apples and cut them in half. Remove the core. 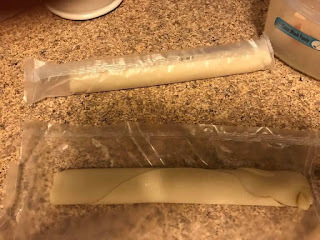 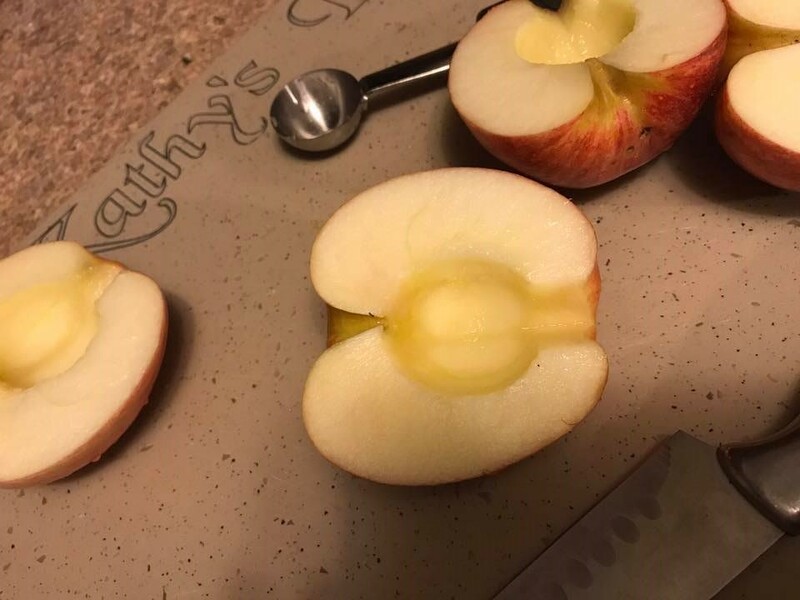 I use a melon baller to remove the core but you could also use a knife. 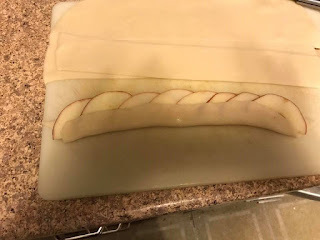 The sliced should be 1/4" to 1/8" thick. 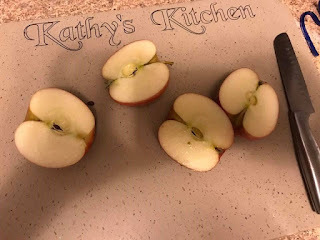 NOTE: If you find that you've sliced them too thick, pop the apples in the microwave with a little water for 3 minutes and steam the slices until they are soft. 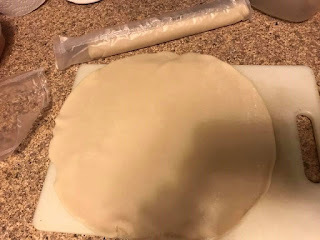 I like package pie crust for this recipe. 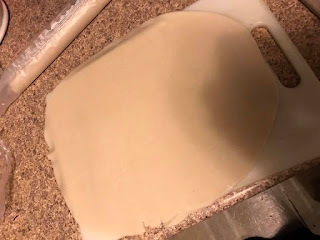 Unroll the pie crust on a cutting board. Use a rolling pin to flatten the pie crust and thin it out a little. 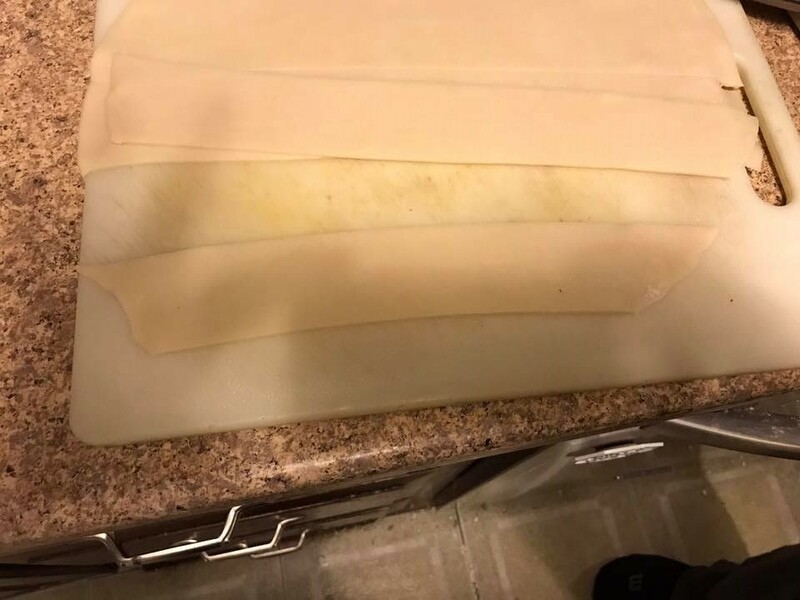 Cut the crust into 1 1/2 " - 2" strips. 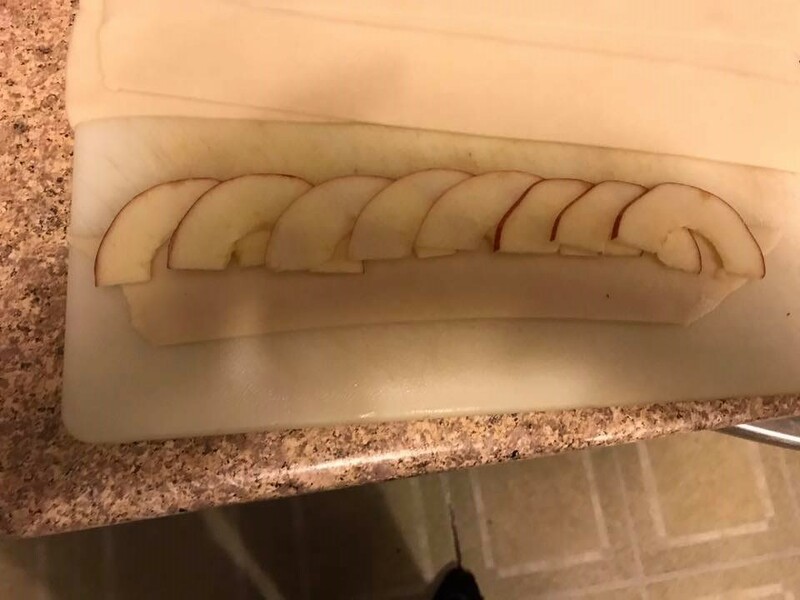 Line up the apple slices along the edge of the crust. Overlap the apples just a bit. 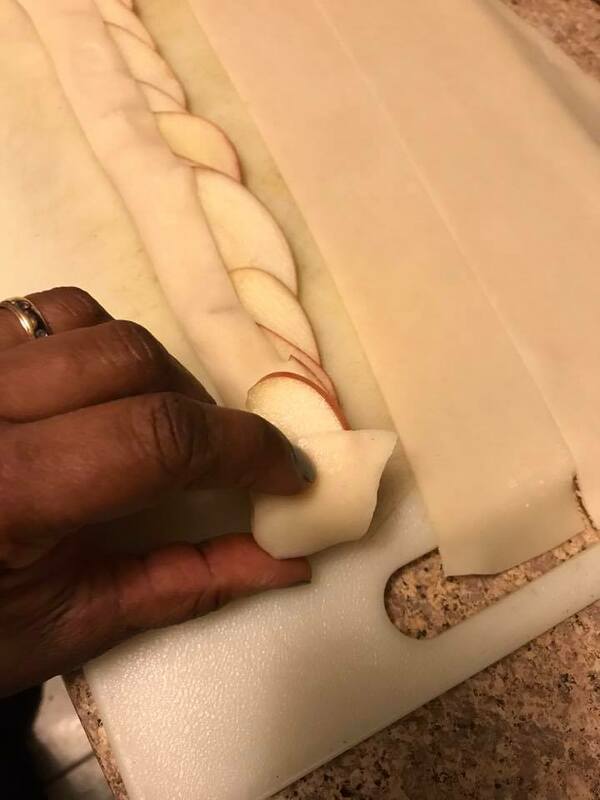 Fold the dough over the bottom half of the apples. 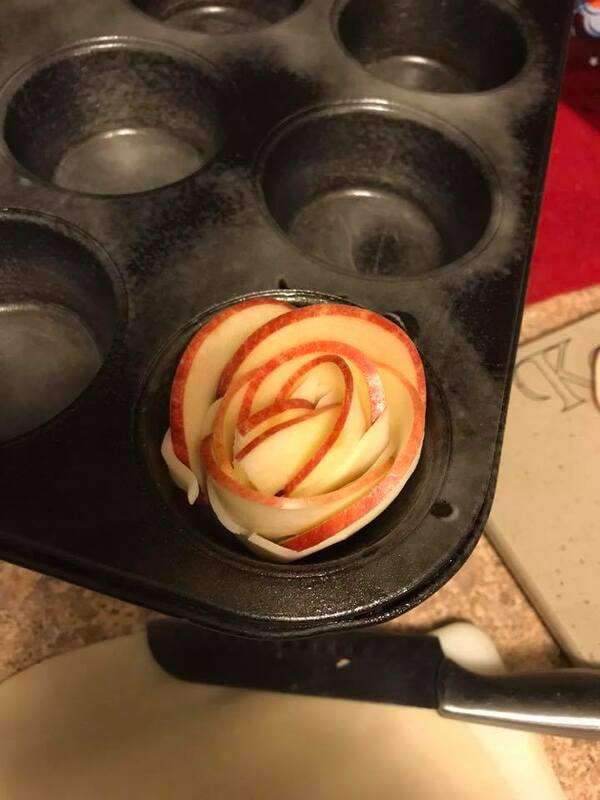 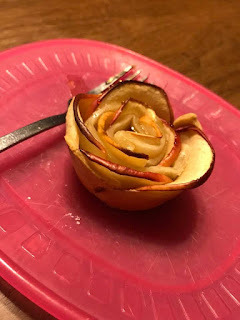 Roll the apples and dough into a rose. 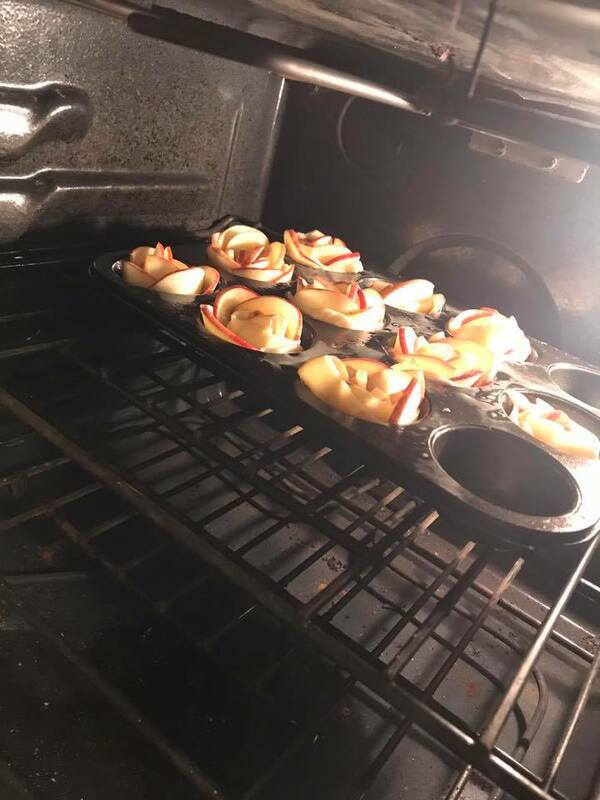 Place the rolled apple and dough in a greased muffin tin. 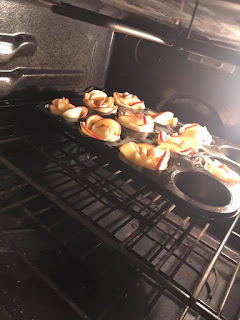 Place in a muffin tin. 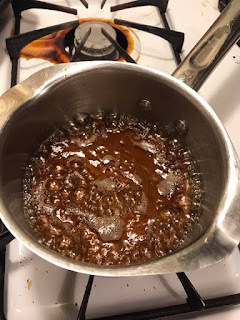 Once sugar is melted and sauce has reduced a bit, remove from heat and add 1/2 teaspoon of vanilla. The sauce will thicken as it cools. When the roses are ready, drizzle with the caramel sauce.